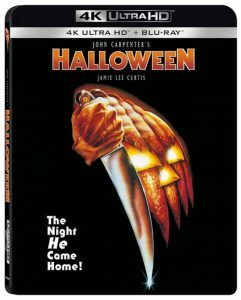 With all this talk surrounding the upcoming sequel to the original Halloween, it’s no surprise to see that the 1978 film is gearing up for a 4K Ultra HD release. Courtesy of Lionsgate, John Carpenter’s slasher classic will be getting the VIP 4K treatment in the USA and Canada. Halloween will be re-released to coincide with the film’s 40th anniversary on 25th September 2018. If we’re lucky, perhaps will get a taste of this over in the UK and the rest of Europe! As we all know, Halloween follows the terrifying Michael Myers as he escapes from a mental hospital on October 31st and unleashes a reign of terror on the town of Haddonfield. David Gordon Green’s new Halloween will be released on 19th October 2018; just in time for the night in question.